In this episode, they remark and reminisce about four specific publications; Creative Computing, Byte, Kilobaud and Interface Age. 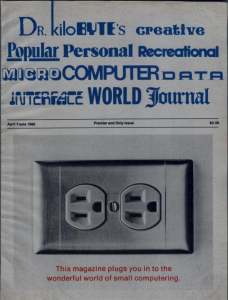 Learn a bit about the creation, content, continuum, and culmination of these magazines, along with their various disciplines in computer information coverage. 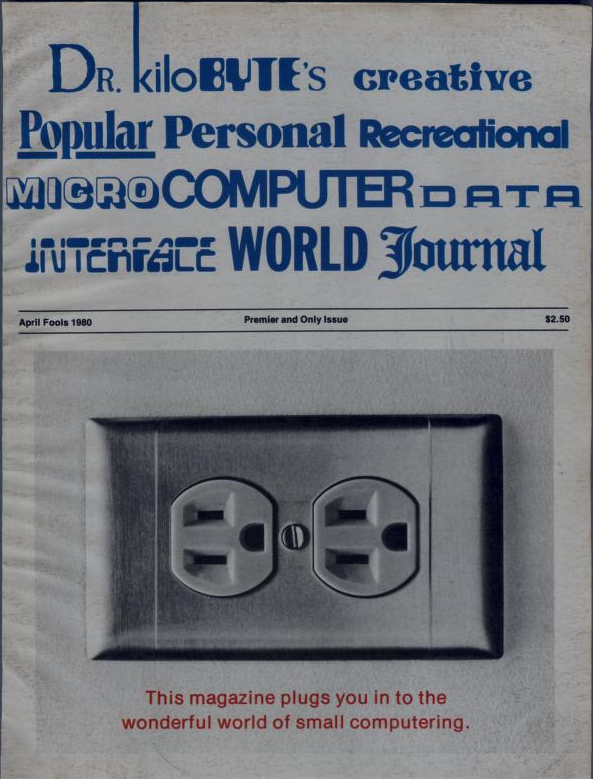 Podcast Episode 12: Computer Magazines 1974-1980 – Part 1 was posted on Friday, February 27th, 2015 at 7:51 pm. This post is tagged and is filed under . You can follow the replies through the comments feed. Pings are closed but you can Leave a comment! Once again, an excellant podcast. I look forward to them with enthusiasum! When you do the next podcast about magaiznes,I hope you will at least mention SoftSide magazine. This was one of my ‘magor’ mags I looked forward to each month. If you have not seen this one, it started out as aTRS-80 mag. Then added Pet, and Apple, then dropped PET and added Atari. Overthe few years it was published it got to be very slick looking mag. Again love teh podcast, keep up the good fun work!! Guys- I love the podcast, thanks so much for what you do… but Jeff’s mic sounds so lousy my wife won’t let me listen while she’s in the car. Distorted, overdriven. Hope you can work on this. Thanks for the feedback, Al! I’m just curious if my audio has sounded that way for you for all of the episodes so far? David records the episode locally on his computer while my audio comes in through the Internet and merged into the recording stream. The first time I hear a completed show is when I load it on my phone and listen to it in my car on the way to work. Sometimes my audio is louder or distorted to some degree, but I don’t notice it disproportionately louder than David’s. Believe me, I don’t enjoy listening to the sound of my own voice and I am my biggest critic. LOL. But I haven’t considered the recordings too harsh in quality. I don’t doubt that my audio may sound different. But I’ve noticed a lot of cars these days are putting digital signal processing (DSP) in their sound systems, and those can alter audio in so many ways. How does the audio sound through headphones, etc? Maybe it’s the result of your audio being recorded as it is streaming. Or maybe it’s a not-so-responsive microphone. But it’s very noticeable to me. I’ve been ping-ponging this with the PET episode. It’s there too. It is less harsh in that episode, but the overall EQ is different too. #12 has a more treble/higher end mix and that’s really accentuating that bit of distortion on your hard ‘sss’ sounds and so on. A Blueberryware theme › 45 queries in 0.366 seconds.